Someone, 27 Sep 2013Dude, it isn't "cheap" plastic. Go to the Apple store and see for yourself. It's sti... moreIf Samsung produces plastic phones, you guys call it CHEAP PLASTIC. But if Apple produces plastic phones, you guys call it PREMIUM PLASTIC. Plastic is plastic so STOP your hypocrisy. Anonymous, 27 Sep 2013That's exactly what they didn't want to do. They knew that that if they leave iphone 5 which ... moreThat’s an interesting strategy. I must admit I love that gold colored iphone 5s. I do hope Apple makes a bigger iphone someday. I would love to own one since there are some apps from ios ecosystem that’s not available to android. Don't get it twisted. C definitely DOES stand for CHEAP. There was no reason to release this other than to save production costs over the iphone 5. It is the same iPhone 5, why are you reviewing same phone over again? mms, 27 Sep 2013Good product, but way too expensive. Apple should have made this a mid to upper mid price phon... moreThat's exactly what they didn't want to do. They knew that that if they leave iphone 5 which looks exactly as iphone 5s bar for the colours many people would buy the 5, because they care for the look and the image and not at all about speed, and Apple would have made less money. so their strategy world's like a charm. 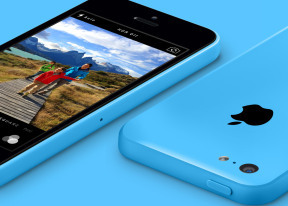 5c is on the market not to be bought but to drove people to 5s and it fulfils the task perfectly. Good business strategy, but also complete d**k of a move. Good product, but way too expensive. Apple should have made this a mid to upper mid price phone or just kept the iphone 5 in the market along with the 5s. AnonD-92553, 27 Sep 2013"Main disadvantages Slippery glossy plastics prone to scratches and fingerprints Thicke... morePrsonally i prefer a FM radio as a fair while sees me out of cell range and streaming radio isn't an option. I prefer stereo speakers too as I'm (along with many others) DO use the speaker option sometimes for music and as for a replacable battery, well try finding a charging outlet in the middle of nowhere or carry an adaptor with you when abroad when you can charge a spare battery and store it rady instead of carrying power supply,adaptor etc. Expandable memory not an issue either, mmmmmm, well i'd sooner have expandable memory as you never know what the future holds. But each to their own, if those things don't bother you then i'm fine with that but from my years of owning phones (make that decades) sometimes it feels as if the steps forward in technology are not as big as they once were and indeed sometimes are a step backwards. Should put a lumia like 720 in that suggestion cause its the phone to beat in 4.3 screen terms of fast, fluid user experience. AnonD-92553, 27 Sep 2013"Main disadvantages Slippery glossy plastics prone to scratches and fingerprints Thicke... moreYou clearly are an Apple fan. If any other companies other than Apple,removes the metalic body and dresses it with colorful plastic and keep the price like a sky scraper,and say " this is our new flagship".will tech media accept it?but now because its apple they say its a premium device . Some time back I red in gsmarena that Apple recruiting plastic enginieers .polycarbonate phones are not that much scratchy.I hav used one x plus,I haven't seen a scratch barely.but 5c ?thats why apple introduced it with a case on. Where is the battery test GSM ARENA? AnonD-92553, 27 Sep 2013"Main disadvantages Slippery glossy plastics prone to scratches and fingerprints Thicke... moreNot everywhere is covered by a network signal to stream radio and i'm sure there would be outrage if you bought a car and it didn't have a radio even if you never used it. and user replaceable battery. No one wants that. i seen no one since 2007 with iphone dead batter. When will people realize that they are being smucked by Apple with their ridiculous price.